This CV’s strong point is definitely the concise presentation. 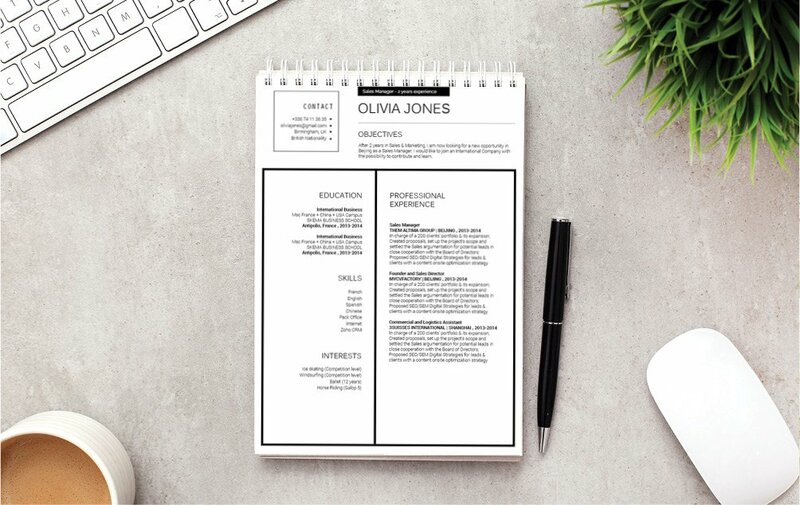 CV template to download "Refined"
WOW your potential employer with this resume template that offers a unique approach in presenting your qualifications. 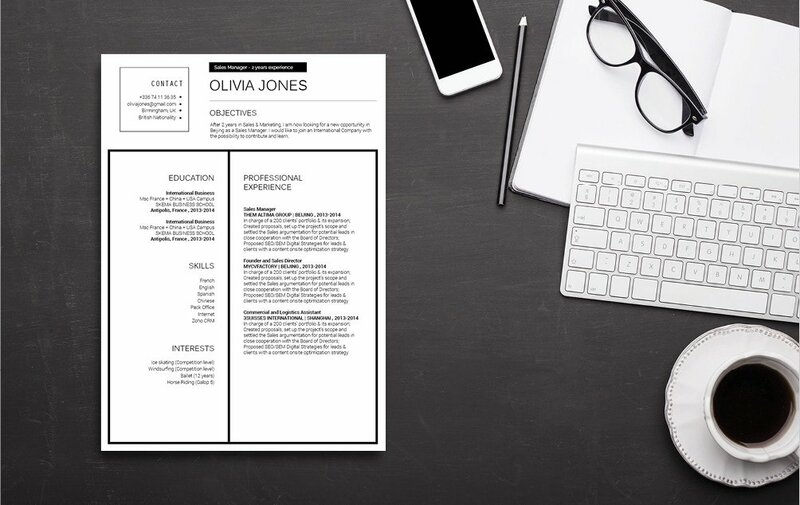 One of the modern resume templates we have, the Refined resume aims to impress your future boss! 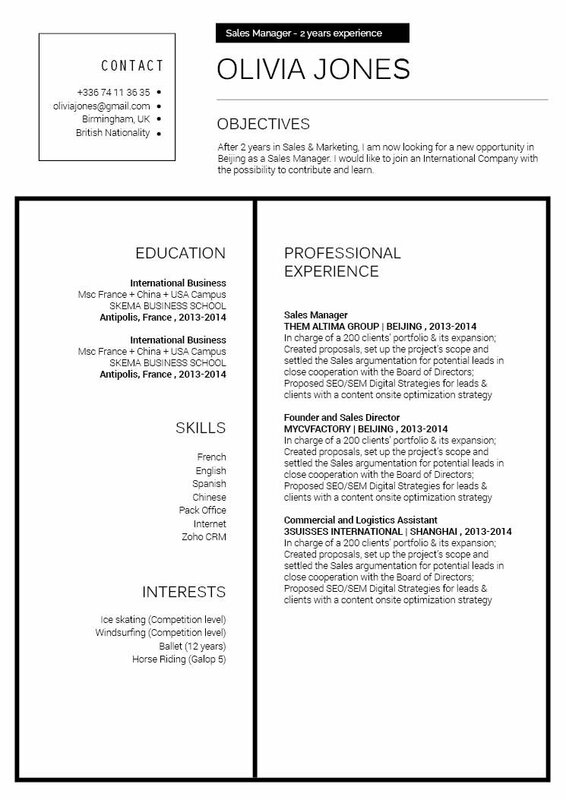 With the use of graphics and shapes, this template can present all the important information in the resume easily and substantially. It modern and stylistic design is perfect for any job type out there, so whatever job you're going for--rest assured this resume will be your ticket into getting hired! How to grab the HR's attention ?—Easy ! That's by having a clear and comprehensive resume! Your resume is one of the deciding factors that either get you the job or not. 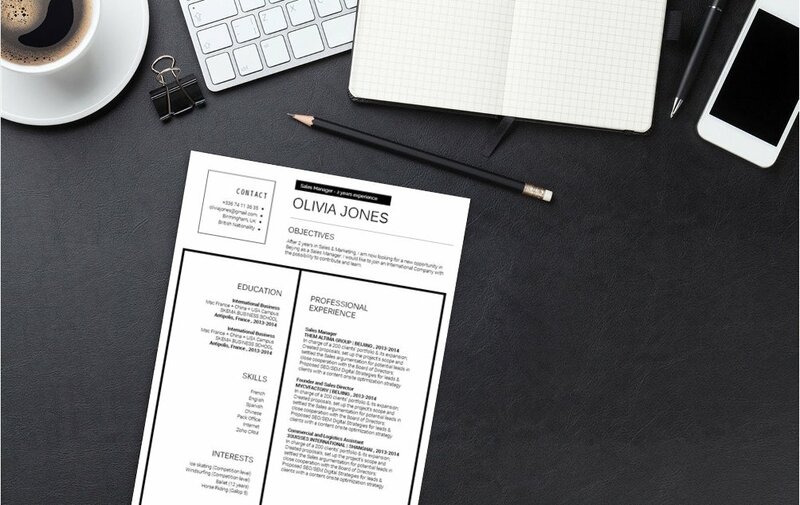 To write a good and effective resume format, make sure that its lay-out is clear and simple, yet still presenting all the essential information with great detail. Make each segment of your resume short, but substantial. Use italics and bold to guide the reader's eye to the essential information you're trying to put out—headings and subheading also provide good contrast to the important information in the resume. This will ensure that the reader will easily understand what your qualifications are for the job.